We recently had a prospective patient send in the following list of comprehensive questions. I wanted to post them so that others can benefit from them as well. 1. What is the meaning of "address the mid-scalp forward to the front line"? When you look at your scalp from the top down, you will see a horse shoe shaped area from front to back. Meaning, if you laid a horseshoe on the top of your head, the area inside the horseshoe is your area of loss. You have three distinct areas. The frontal area 1/3, the mid scalp area 1/3, and the crown 1/3. The front goes from your frontal hairline to mid scalp. The mid scalp is the center of the top of your head also known as the vertex. The crown is the circular area in the back of the head. Those are basically the three most common areas of loss. Some people with extreme hair loss can even have a fourth area behind the crown just above the neck. that is when the crown area expands and widens down towards the neck. Because your area is large and there is only so much hair that can be moved, we can't cover all three areas with equal density. We can cover the two areas comprising the frontal and the area behind that the vertex(mid-scalp) area. The only way to guarantee coverage of the entire area would be to take hair that is intended for the front and spread it lightly towards the crown. We don't do that because it would give a minimal result. We would look to make a substantial result in the area in the front to mid-scalp. If your donor is exceptional and we can yield 8,000 plus hairs we might get beyond the mid scalp area. We always look to get maximum amount of hair possible and cover the largest area. We will not spread hair thinly to cover more areas. This would defeat the purpose of a hair transplant, which is to substantially impact the way you look. 2. Who would the donor be? That is an excellent hair transplant question. You are the donor. Your hair is a perfect match and it looks to be excellent quality and quantity. It is not possible to take someone else's hair due to donor rejection issues. Similar to what happens in heart transplant patients when they have complications of rejection. Your body will reject someone else's hair (graft tissue). 3. Kindly define the terminology "one half" and "original density"? Another great hair transplant question. When you were 15 years old (before you experienced hair loss) you had 100% of your original hair. 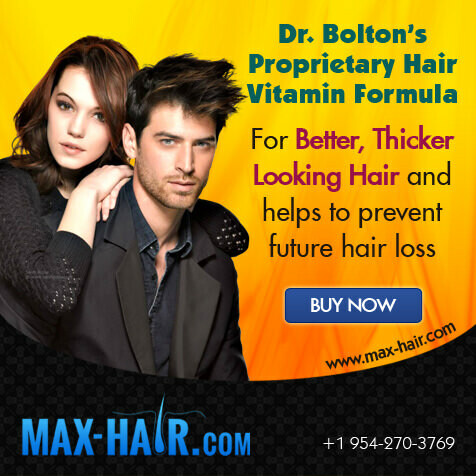 When Dr. Bolton transplants into an area devoid of hair, he can achieve 50% of your original density. Nobody can get you, on a bald head, a result of thickness and density like you had when you were 15 years old in one procedure. Dr. Bolton can get you half of what you originally had, which is what you see in his photos on his website. 4. What is the number of days that would be required and how long would my stay in USA be? You can fly in a day before the procedure and leave a day after, if you like. Follow-ups can be by Skype or you can send photos by email. Sutures are simple to remove and can be taken out by a local doctor, nurse, clinic or technician in twelve days after the procedure. 5. Do I need to shave my entire head, generally, how many months does it take for the regrowth of transplanted and natural hair to grow? You do not need to shave your head. You will see beginning results after one month. Slight results at 4 months, substantial results at 6-8 months and final results at 12-18 months. 6. Could you make available a photograph of a similar patient and the result that was attained after the procedure? There are thousands of pictures on our website, which can be viewed by clicking here. We also have hundreds of videos, which can be viewed by clicking here. 7. How much time is taken for the healing process? The healing process takes ten days until you are back to normal. 8. How much time is needed to become mobile after the surgery? We suggest taking it easy for the first couple of days. You will be mobile the next day, but refrain from physical activity. This is not the type of procedure where you go home and go to bed. Just take it easy for the first few days and then after 4-5 days go back to a normal non-physical routine. 9. How many stitches are generally required in this kind of procedure. Dr. Bolton utilizes a single line suture. The amount of individual stitches is dependent on your overall scalp size and harvest. 10. The cost given if for a single procedure, correct? 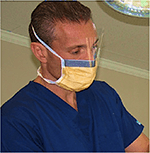 To attain a better result can a second procedure be performed? Would you recommend that? The cost is for one procedure. You can always do a second procedure to get more coverage and density. A minimum of 6 months to a year is required, to let the donor area heal, before a second procedure can be performed. We recommend doing whatever it takes to achieve the results that you are looking for. Some patients are satisfied with their 1 procedure results, while others want more density, or have a larger area they are looking to cover. 11. How often do I need to visit your clinic for follow-ups? You don't have to physically come in for follow-ups. All follow-ups can be done virtually, as all of the work is done the day of the procedure. 12. Are the transplanted hairs permanent? 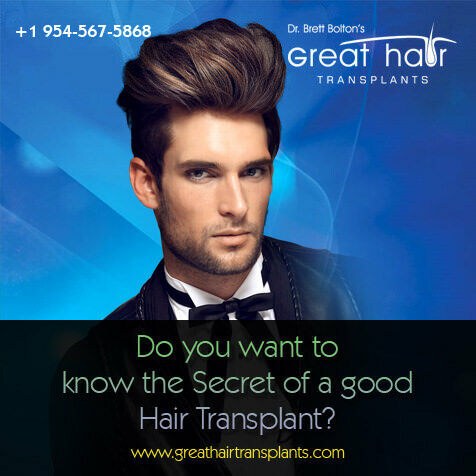 The transplanted hair will last forever, except, if you have radiation treatments, accident, or medications that cause hair loss. 13. Can hair from chest be used to give more density? This is a good question, but a bad idea. It is not the same and it would be a desperate measure by the patient and doctor. To answer your question; yes, it is possible, but not advised. Body hair is typically a different texture, thickness, and subject to limited length. You would not want body hair on your head. ← Previous Previous post: How Much Does A Hair Transplant Cost?